Data protection has always been of crucial importance at Print4London.com, which is why we are ISO27001 Information Security certified. We also have data privacy policies in place with many clients who require extra reassurance when ordering print products. Under GDPR, you do not require explicit consent from a customer to send them print marketing. But spamming customers and prospects with direct mail won’t do you any good – you have to be creative and appeal to your recipients’ individual likes. This is why personalisation can be such a powerful strategy. 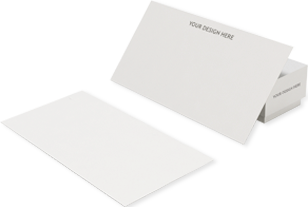 Here at Print4London.com, we have several years of experience creating direct mail marketing campaigns and can help you advertise to a new customer segment with print marketing. Find out more about our direct mail offering here. Call our FREE landline on 0800 917 6377 to speak to us about any data privacy concerns you may have. You can also email us at hello@print4london.com or get in touch via our enquiry form below. You can also read our detailed data privacy guide.